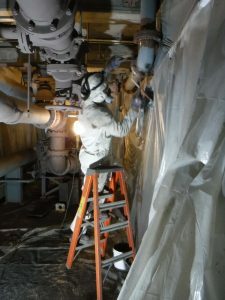 Long Painting Company’s industrial crew is hard at work at the Alder Dam located on the Nisqually River. 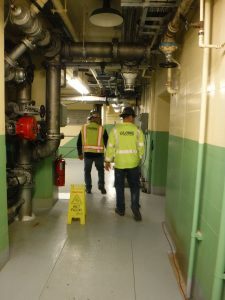 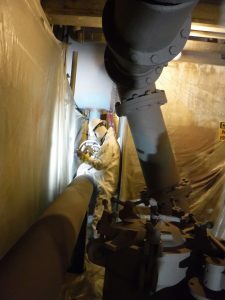 They are stripping old paint and applying special industrial coatings to the piping and pein stocks. 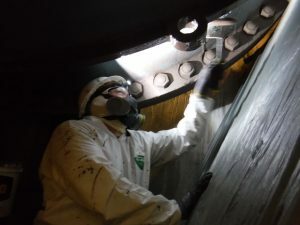 The massive pipes wind endlessly through the powerhouse of the dam. 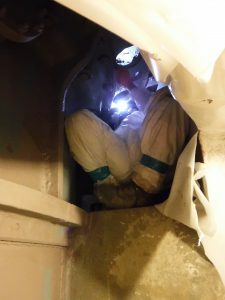 This crew is tougher than tough as they are working in an environment that is dark, dank and often times they have to crawl into very tight spaces. 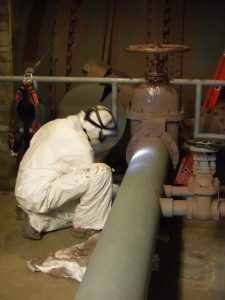 They are focused, motivated and most importantly properly outfitted and have the necessary safety equipment that complies with regulations. 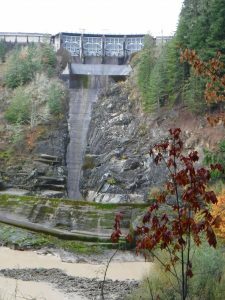 When the Alder Dam was built in 1945, it was one of the tallest dams in the nation, measuring 330 feet high and 1,600 feet long. 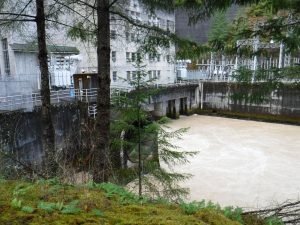 The dam serves electricity to 16,000 Northwest homes each year.